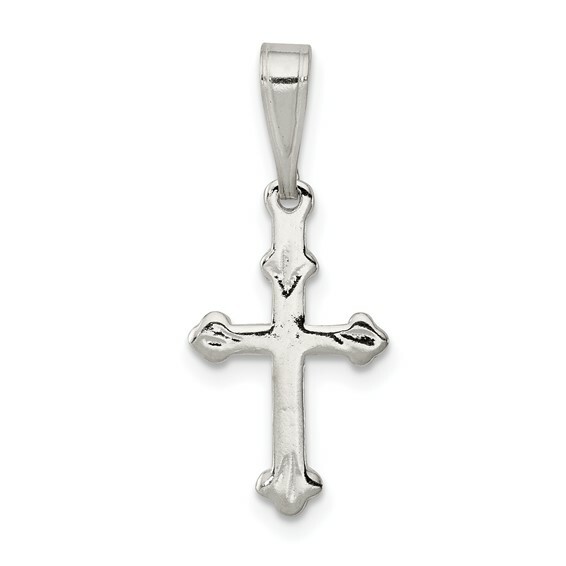 Polished solid sterling sliver, flat back. Weight: 0.5 grams. Measures 11/16 inch tall by 3/8 inch wide without bail. This petite charm is smaller than a dime. The budded cross represents the holy trinity with a trifoil at each end. Made in India.